Christina has been an Associate Scientist in RAL since 2009. 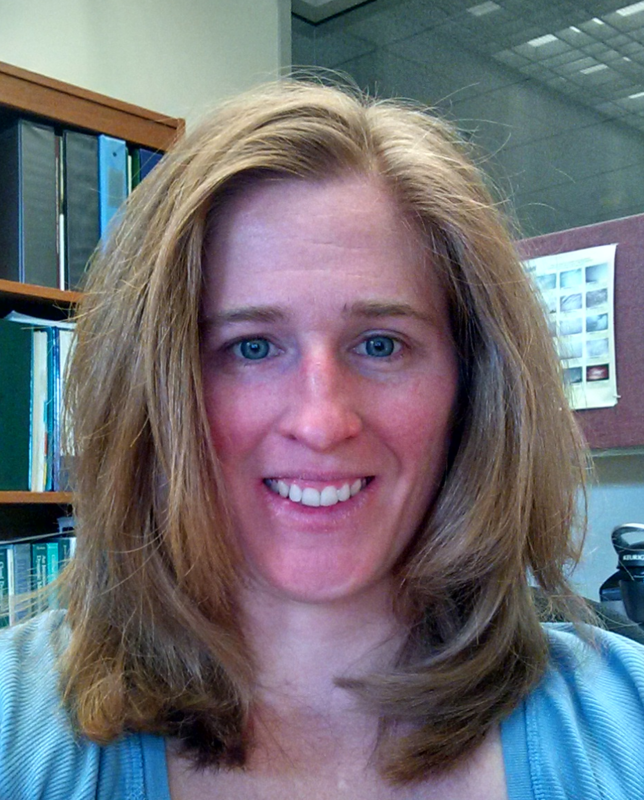 Prior to working at NCAR, Christina was a scientist at CPP Inc. where she worked on special projects focusing on wind flow over complex terrain and damage to structures caused by severe weather. - Peterson, M., C. Liu, D. Mach, W. Deierling, and C. P. Kalb, 2015: A Method of Estimating Electric Fields above Electrified Clouds from passive Microwave Observations. Journal of Atmospheric and Oceanic Technology, 32, 1429-1446. - Kalb, C. P., W. Deierling, A. Baumgaertner, M. J. Peterson, C. Liu, and D. Mach: Parameterizing total storm conduction currents in the Community Earth System Model. Journal of Geophysical Research. - Peterson, M. J., W. Deierling, C. Liu, D. Mach, and C. P. Kalb: Variations in the optical characteristics of lightning and the properties of illuminated clouds, Journal of Geophysical Research, in review. - Kalb, C. P., W. Deierling, M. J. Peterson, and C. Liu, 2015: Total storm conduction current parameterization in a global model. Presented, 2015 Fall Meeting, AGU, San Francisco, CA, AE12A-08. - Deierling, W., C. P. Kalb, M. J. Peterson, C. Liu, D. M. Mach, and R. J. Blakeslee, Conduction currents in oceanic and continental electrified clouds, Poster by Deierling, 2015 Fall Meeting AGU, San Francisco, CA, AE31C-0458. - Peterson, M. J., W. Deierling, C. Liu, D. Mach, and C. P. Kalb, On the variations of electricity, lightning and storm properties. Poster by Peterson, Fall Meeting AGU, San Francisco, CA, AE31C-0460. Presented by Peterson. - Kalb, C. P., W. Deierling, A Baumgaertner, D. Mach, C. Liu, and M. J. Peterson, 2014: Parameterizing total storm conduction currents derived in a global model. Poster, XV International Conference on Atmospheric Electricity, Norman, OK, P-10-04. - Deierling, W., C. P. Kalb, D. Mach, C. Liu, M. J. Peterson, and R. Blakeslee, 2014: On the variability of Wilson Currents by storm type and phase. Presented by Deierling, XV International Conference on Atmospheric Electricity, Norman, OK, O-10-02. - Kalb, C. P., W. D. Deierling, D. Mach, C. Liu, and M. Peterson, 2013: Total Storm Currents and their Relationship to Microphysical and Dynamical Cloud Properties. Poster, 2013 Fall Meeting, AGU, San Francisco, CA, AE23B-0421. - Deierling, W. D., C. P. Kalb, D. Mach and C. Liu, 2013: Total Storm Currents in Relation to Storm Type and Life Cycle. Poster by Deierling, 2013 Fall Meeting, AGU, San Francisco, CA, AE23B-0427. - Peterson, M. J., C. Liu, D. Mach, W. D. Deierling, and C. P. Kalb, 2013: Of Ice and Charging: A look at Thundercloud Electric Fields and Passive Microwave Observations. Poster by Peterson, 2013 Fall Meeting, AGU, San Francisco, CA, AE13B-0347. - Deierling, W., D. M. Mach, C. P. Kalb, S. A. Al-Momar, and D. J. Cecil, 2013: Conduction currents in relation to cloud properties of different storm types. Poster by Deierling, 6th Conference on the Meteorological Applications of Lightning Data, Austin, TX, 740. - Al-Momar, S., W. Deierling, C. P. Kalb, K. Kosmenko, D. Mach, and D. Cecil, 2013: Relating electrified cloud properties to Wilson Currents: An oceanic and continental case study. Poster by Al-Momar, AMS 12th Annual Student Conference, Austin, TX, S99. - Cai, H., M. Steiner, J. A. Grim, C. P. Kalb, C. J. Kessinger, J. Pinto, K. Stone, and M. Strahan, 2013: Probabilistic convective storm guidance for strategic planning of offshore and transoceanic flights. Poster by Steiner, 16th Conference on Aviation, Range, and Aerospace Meteorology, Austin, TX, 628. - Kalb, C. P., J.O. Pinto, and S.A. Dettling, 2011: Evaluation of Modeled Precipitation Intensity Distributions and their Application to Short Term Forecasting. Presented, 24th Conference on Weather and Forecasting/20th Conference on Numerical Weather Prediction, Amer. Meteor. Soc., Seattle, WA, 1B.2. - KaIb, C. P., A.R. Dean, R.A. Peppler, and K.L. Sonntag, 2004: Intercomparison of Cloud Base Height at the ARM Southern Great Plains Site. Poster, 14th ARM Science Team Meeting, Albuquerque, NM. - KaIb, C. P., A.R. Dean, R.A. Peppler, and K.L. Sonntag, 2004: Intercomparison of Cloud Base Height at the ARM Southern Great Plains Site. Poster, 3rd Annual Student Conference, Amer. Meteor. Soc., Seattle, WA, P1.7. - Kalb, C. P., W. Deierling, M. J. Peterson, and C. Liu, 2016: Total storm conduction current parameterization in a Global Model. Presented, Community Earth System Model Whole Atmosphere Working Group Meeting, Boulder, CO.
- Deierling, W., M. Peterson, and C. P. Kalb, 2015: Global Electric Circuit. Co-presented, RAL Retreat, Boulder, CO.
- Kalb, C. P. and W. Deierling, 2013: Electrical connections and consequences within the earth system: project overview. Presented, Space Foundation's Meteorology and Space Weather one-week Program, Boulder, CO.